Listen to Anthony Joseph & The Spasm Band, recorded LIVE at Assembly, Cape Town on 2 October 2008. Anthony Joseph is a poet, novelist, musician and lecturer described as ‘the leader of the black avant-garde in Britain’. Born in Trinidad, his experimental poetry, fiction, music and spoken word occupies a space between surrealism, jazz and the rhythms of Caribbean speech and sound, creating what he calls ‘liquid textology’. He is the author of two poetry collections and a novel The African Origins of UFOs. This performance, featuring his jazz septet The Spasm Band, brings together the echoes of dub poets, Mystic Revelation of Rastafari, the Art Ensemble of Chicago and Sun Ra cosmic visions. Joseph’s new collection of poetry, Bird Head Son, is due in 2008 and will be followed by a new Spasm Band album with the same title. 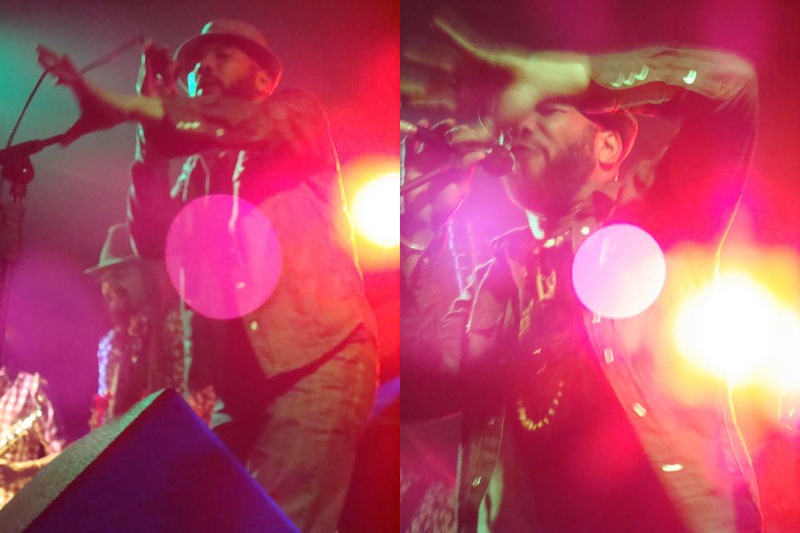 Category: Pass Blog | Tags: Anthony Joseph, The Spasm Band | Bookmark: permalink.